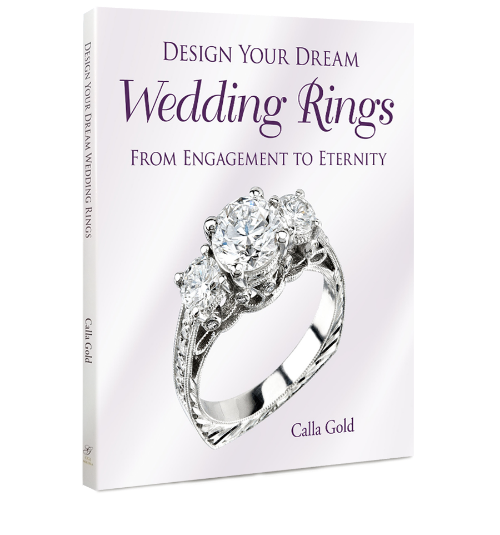 If you ever dreamed of designing your engagement ring, or want advice in helping you choose your wedding rings, this book will open the door to the possibilities and give you the knowledge and inspiration to see it to life. "I got this book, not for a wedding ring, but just so I'd quickly know more about jewelry, so when I am buying any type of jewelry, I don't feel so stupid and don't get duped. I got interested in the whole jewelry process when my daughter got married last year. I absolutely love the formatting in this book which makes it a super easy reference source as well as good easy sit-down reading. Nicely done, super reader-friendly... Beautiful photos, insert boxes with tips, etc. The thing that struck me was how many easily-accessible facts there are in this book that only someone that's super experienced would know... like insider trade secrets. Very interesting." Being a professional Matchmaker, I'm all about love. And when it leads to the question "Will you marry me?" wouldn't that special moment be even better with a ring that has been thoughtfully designed to match who you are? Well, this book starts with the Language of Rings and leads you through the steps to creating it. The photos are gorgeous (I'd buy it just to look at all the beautiful designs) but it's filled with a wealth of information. I'm a fan of being informed, but not being bored. Design Your Dream Wedding Rings is not boring. In fact it's like a children's book for adults. It's easy to read, there are amazing rings pictured on every page. Each one helps demonstrate some detail the author is revealing. Her ring picture examples of setting styles kicked out any confusion I ever had about the difference between channel setting and bezel setting. I also discovered that I do indeed like hand engraving details. This book is a MUST-HAVE for anyone designing a custom ring, or just trying to determine what style of ring they like best. Jewelry terminology is a language unto itself and I loved how this book clearly explained, with simple graphics, all the words and concepts you need to know I'd you want to design a beautiful ring that will look good on your particular hand. Loved that the Kindle version allowed me to click through for more detail when I needed it. I highly recommend this book especially for people who are thinking of designing their own rings. This will help greatly. A ring is a ring? No, no, no. A ring is the culmination of taste, style, family history, and an expression of love for all to see. The more you know, the more you'll love your wedding ring. Calla Gold has a unique way of simplifying the complex. You can hear her enthusiasm and tell that she is a teacher at heart. Calla Gold is your Personal Jeweler - a true "Jeweler Without Walls" who takes pride in working with clients one-on-one to integrate their personal sense of style and taste into custom designed jewelry and repaired jewelry pieces. Unlike typical Santa Barbara jewelry businesses, Calla Gold has no brick-and-mortar location. Calla Gold comes to you, bringing you the jewelry collection you want to see and collaborating with you to create unique custom jewelry. Santa Barbara jeweler Calla Gold personally designs jewelry that comes from your story and your heart.